What is Toxic Home Syndrome and How Can A Home Heat Recovery System Prevent It? Toxic home syndrome is much more common than you think and refers to a build-up of harmful pollutants in the home, which can adversely affect the physical health of people living there. If you want to prevent toxic home syndrome, a home heat recovery system can help you do so. Here we look further into what toxic home syndrome is and how we can prevent it. Toxic home syndrome refers to any pollutants, bacteria or chemicals that have built up around your home. These types of pollutants can worsen any respiratory issues, so if you or your loved one suffers from any medical condition of the respiratory system, such as asthma, you need to be even more careful to prevent toxic home syndrome. Not only does it worsen any existing medical conditions, but it can also cause a whole host of new breathing problems. How Do You Spot Toxic Home Syndrome? Toxic Home Syndrome manifests itself to look like mould on your tiles or wallpaper. It is pretty obvious to spot and if you have any mould on your ceilings or anywhere throughout your house this means that the air inside your home is not clean enough. Modern homes and buildings are made with better insulation and although this is good for keeping us warm and saving on our energy bills, it also means that the dirty air inside the home cannot escape, causing a build-up of these nasty toxins. Air quality is already becoming poorer throughout the UK and now more than ever we will see an increase in Toxic Home Syndrome. If you are living in a large city, you are more at risk of breathing in poor quality air and, therefore, reducing this risk in your own home is essential to your health. How Can A Home Heat Recovery System Help? 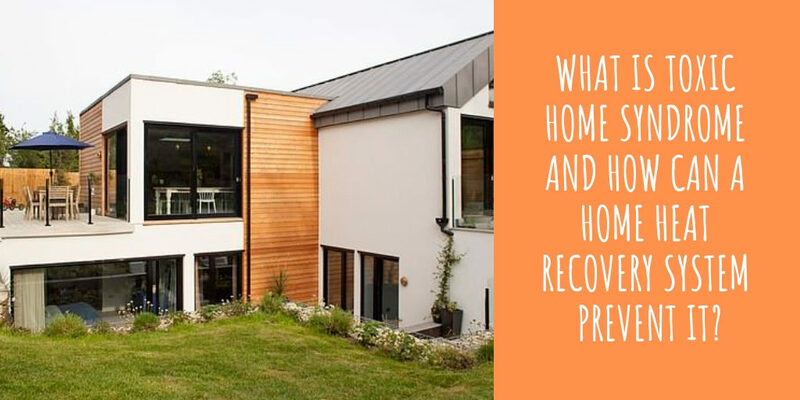 A home heat recovery system can prevent your home from having a build-up of toxins, as it releases air back into the atmosphere and re-uses air as a way to provide heat for the home. These systems ensure that any stale or moist air goes outside, and fresh air comes back through your home. This means that the air within your house is constantly being circulated, leaving no chance for Toxic Home Syndrome to manifest itself. A home heat recovery system also aids your home in becoming more eco-friendly, furthering aiding in better air quality for us all. www.bpcventilation.ie can help you to choose and fit a ventilation system that works around your budget and the size of your home. They supply home heat recovery systems from some of the UK’s best manufacturers. If you believe that your home has Toxic Home Syndrome, it is best to get this sorted as soon as possible to prevent any health risks to you or your family. If you are worried that your home has affected your health, speak to your doctor.